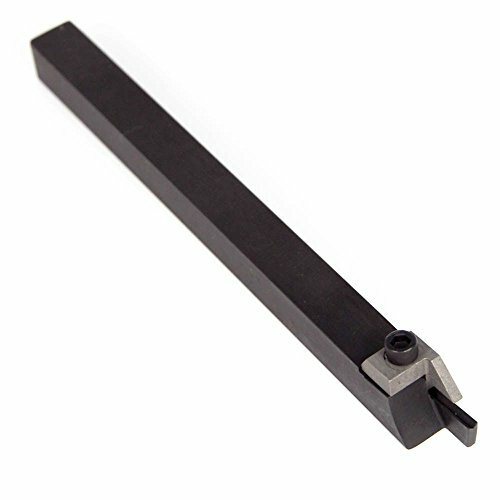 Shank Size (H x W): 1/2" x 1/2"; Insert model for this holder: Carbide insert TiN Coated MGMN-2 Double End Cut-off MGEHR08-2J Width: 0.079''; Black oxided smooth finished; For the Cutting Parameters, please refer to the product image. The cutting-off tool can only do cut off jobs. In regard to the other regular cutting, it's better to use the other 6 pieces of the set. Please note that this tool holder comes with NO insert installed. Only a holder. Inserts are sold separately on Amazon.ca. Inserts item number #2403-4022x10. MGEHR08-2J Width: 0.079''; Black oxided smooth finished; For the Cutting Parameters, please refer to the product image. Please note that this tool holder comes with NO insert installed. Only a holder. Inserts are sold separately on Amazon.ca. Inserts item number #2403-4022x10. CoroCut QD the most reliable system for parting off Tools and adaptors 1. Plug and play coolant for an easy connection 2. New tool material alloy for increased strength 3. Special key for a foolproof user-friendly clamping 4. High-precision coolant as an option for all tools 5. Inserts: Upgraded coatings dedicated for parting off 6. Insert designed for high precision coolant 7. Rail tip seat for all insert widths. Shark Toolholders are guaranteed to perform as good as any OEM Toolholder. Made to exacting standards, we offer an alternative to OEM without excessive cost. Use for rotors with mountin flanges such as Trooper, Isuzu, Toyota Tercel and Mazda Pick-ups. Use on rotors and flywheels 8911, 8922, 8944, 8989 combination disc and drum lathes when using 404 or 405. Uses 407, 408, 409 or 060 Bit. 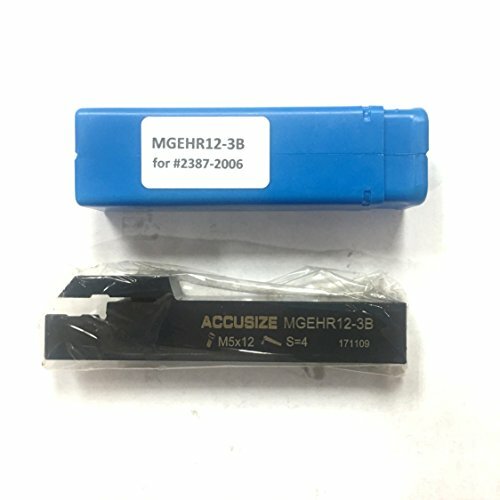 OEM #: Accu 434056, FMC 8027164, Hunter, RP8-8568. Use for rotors with mountin flanges such as Trooper, Isuzu, Toyota Tercel and Mazda Pick-ups. For shallow precision grooving and profile/copy turning O-ring. snap-ring, relief grooving and high production Opening of wide grooves by plunging and side turning Precision clamping and insert indexing accuracy Stable under side cutting forces when profile turning Maximum stability due to short overhang QA06R-20J Shank Size (A x H): 1" x 1" Overall Length (L): 6"
Nikcole mini-groove system.Holds inserts for external threading, grooving, and cut-off. Right hand external toolholders hold right hand "GIE" series inserts. Sandvik Coromant 151.2-25-30, T-Max Q-Cut blade for parting is part of the T-Max Q-Cut product family. 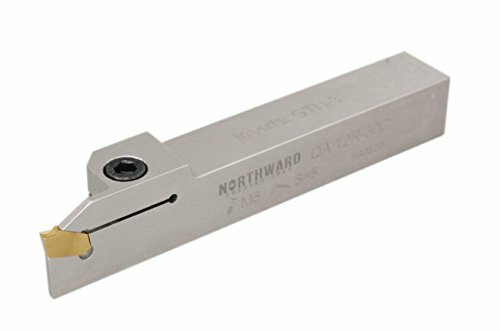 T-Max Q-cut is a universal single edge system for parting off, grooving and internal face grooving, suitable for parting off large components and deep grooving applications. 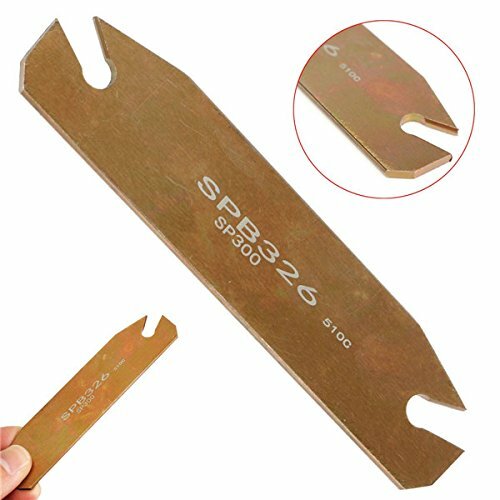 1/16" x 1/2" x 4-1/2" M2 HSS cut-off blade. These T-shape parting blades provide great side clearance. 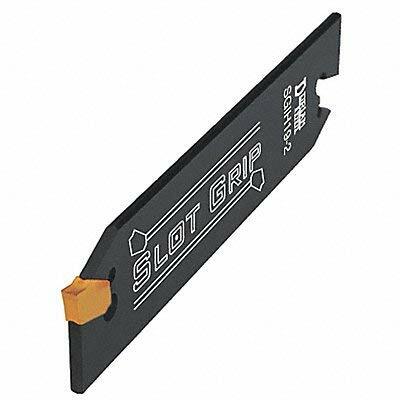 Shark Tool holders are guaranteed to perform as good as any OEM Tool holder. Made to exacting standards, we offer an alternative to OEM without excessive cost. Use on disputing brake lathes and combination lathes when cutting rotors. 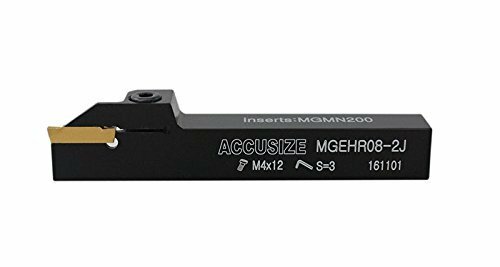 Use with Ammo Models 3000, 4000, 4100 and 7000 Lathes. Reels 2000. Uses 062 Bits. OEM#: All Tool 8588, Performance 8588, Hunter RP8 8588, Ammo 10701, RELS 45005. 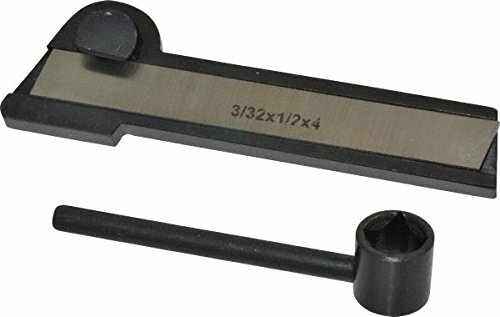 Shark Tool holders are guaranteed to perform as good as any OEM Tool holder. Made to exacting standards, we offer an alternative to OEM without excessive cost. Use on drum cutting brake lathes and combination lathes when cutting rotors. Use with Ammo Models 3000, 4000 and 7000 Lathes. Uses 062 Bits. OEM #: Ammo 9872, RELS 45007. 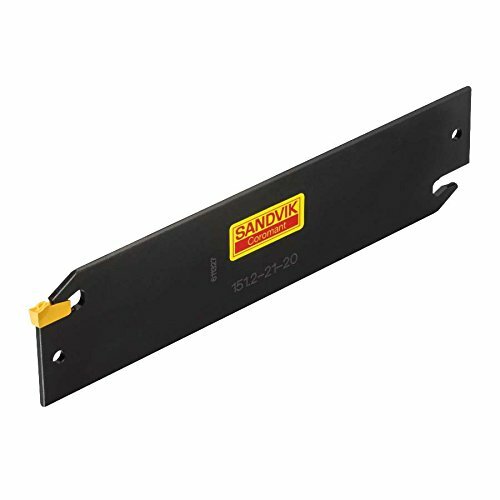 Sandvik Coromant 151.2-21-25, T-Max Q-Cut blade for parting is part of the T-Max Q-Cut product family. 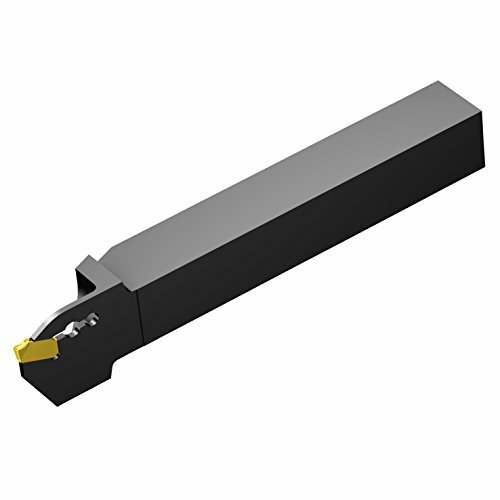 T-Max Q-cut is a universal single edge system for parting off, grooving and internal face grooving, suitable for parting off large components and deep grooving applications.